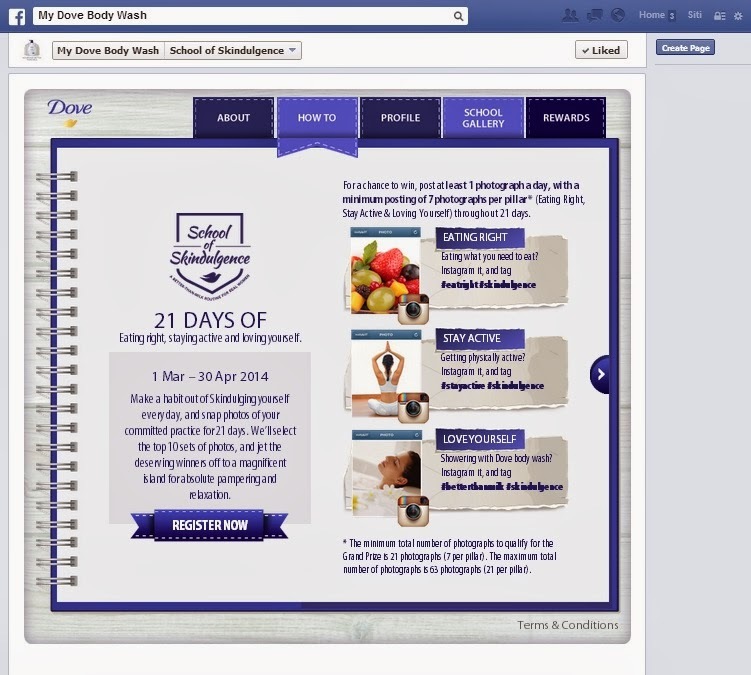 Dove School of Skindulgence (S.O.S): Eating Right, Stay Active & Love Yourself! Assalamualaikum and happy weekend ladies! I was so lucky to be invited by The Butterfly Project Malaysia to the Dove's School of Skindulgence event. The event was held at The Apartment, The Curve. In the main entrance we got to have our own polaroid picture. The event was hosted by the former 3R host, Azah Yazmin. Dove® Body Wash with NutriumMoisture™ today launched the Dove Skindulgence campaign as a solution to encourage women to indulge and pamper themselves on a daily basis in less time and with less money…and all in the comfort of their own home. 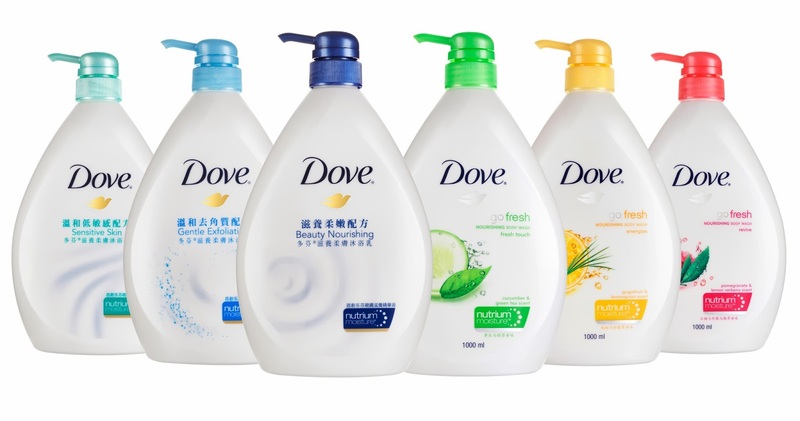 The new Dove Body Wash proven to pamper your skin better than any other milk body washes. “Dove® Body Wash with NutriumMoisture™ is proven to be better than milk. The unique blend of moisturising and nourishing ingredients replenishes nutrients back into the skin while you shower. That in itself is daily pampering for your skin. But, we would like to encourage women to take a step further and pledge through the Dove® School of Skindulgence Facebook campaign to love themselves, eat right, and stay active through simple no-hassle, no fuss, inexpensive activities that they can do at home for themselves,” said Siti Suhaila Abd Hamid, Brand Manager, Unilever (M) Holdings Sdn Bhd. We were given a demo to see the result and seriously you can be shocked like right away!! We were also being taught on how to eat right and clean as well as how to make an easy healthy meal. Now, no more "not enough time!" to make a healthy meal for yourself aaaaa. I was in the Group B with Arissa as well as Cik Lily. Our pillar is Love Yourself. These are all healthy meal experts you guys! Masterchef in the making ni. 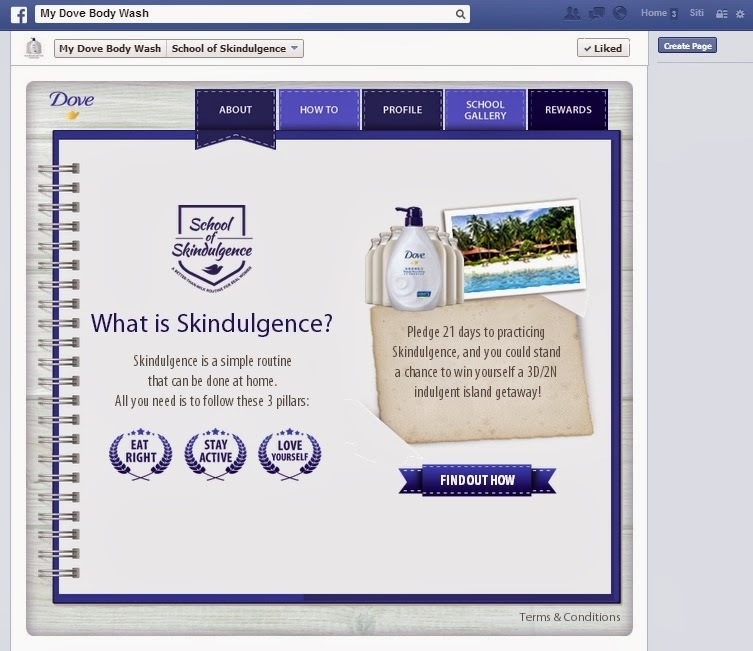 Of course some photo session with the star of the show Dove Body Wash.
Are you guys ready to make a life changing? The S.O.S is divided into 3 pillars which is Eating Right, Stay Active and Love Yourself. Each of the pillars requires you to upload minimum 7 pictures for 21 days continuously. The contest started on 1 Mar until 30 Apr 2014. Now lets talk about the fun part, grand prize shall we? There will be 10 winners for the grand prize. Yup! 10 winners. The winners will have 3D/3N indulgence island getaway to Krabi Island. I now. It's everyone dreams. 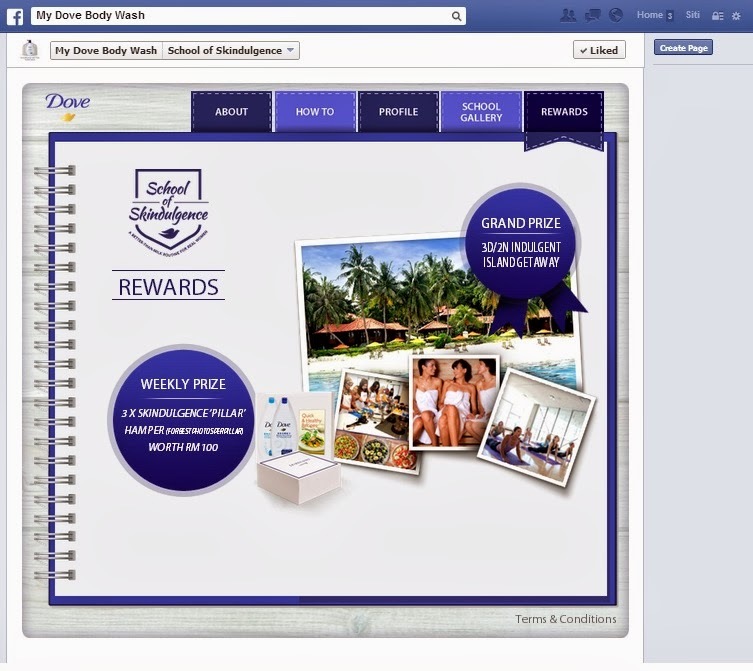 The weekly prizes will be selected each weeks for 7 weeks and each will win RM100 Dove Body Wash Hamper. Very intriguing right? I couldn't control myself to join the challenge because its so fun and easy to enter! Have you guys register? I'm already in day 10! Let's stay active, and beautiful together!